A-Breeze Maintenance Services provides carpet, upholstery, rug, and floor cleaning for the major San Jose metropolitan area and Santa Clara County. Owner/Operator Ken is certified by The Clean Trust and practices cleaning techniques recognized by major manufacturer’s warranties. His work is 100% satisfaction guaranteed. Cold Craft provides full service Heating, Ventilation and Air Conditioning repairs and maintenance for residential and commercial clients. We have referred clients for several years needing AC and commercial refrigerator repairs with great feedback. Remember to have your air conditioner inspected and maintained every spring to ensure it’s running throughout the summer season. Blossom Valley Interiors is an Abbey Carpet and Floor store. They offer most types of flooring products including carpeting, rugs, vinyl, linoleum, and hardwoods. Their experienced installation team can take the hassle out of your remodel and warranty all of their own work. EJ Plumbing offers plumbing services in San Mateo and Santa Clara counties offering bathtub, faucet, garbage disposal, pipe, sewage, shower, sink, toilet, water heater repair, replacement and installation. 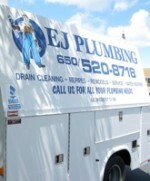 EJ offers same day and emergency service rates and most of their technicians have over 10 years industry experience. Junk King provides dependable junk removal and hauling services to clear unwanted clutter from your home or business. They make environmental commitment by recycling at least 60% of the junk collected. You have more important things to do than get rid of your junk; Junk King is here to give your kingdom back! 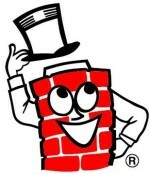 Family owned and operated since 1989, Mr. Chimney provides two major services chimney inspection, cleaning, rebuild, and construction and dryer duct inspection, cleaning, and installation. If you have a dryer that runs, heats, but takes too long to dry, there’s a good chance Mr. Chimney can clean your vents and remedy the problem. PuroClean Disaster Recovery specializes in residential and commercial restoration of properties damaged by water, mold, fire, or biohazards. They take a common sense, efficient approach that is focused on getting you back on your feet as quickly as possible. Their goal is always to educate, inform, and serve. Free assessments and direct insurance billing. Tile and Grout King is an award winning, Diamond Certified tile installation and restoration contractor servicing residential and commercial clients in the San Francisco Bay Area. They pride themselves in quality installation and restoration of beautiful tile surfaces and providing top notch customer service throughout your renovation.